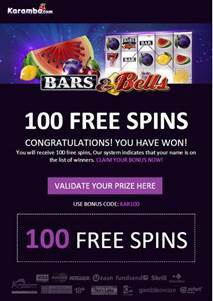 The online classic slot, Bars & Bells™ has just arrived at Karamba.com and it is all set to be a huge success. Already internationally well known on the online gaming circuit, this online slot offers more than just watermelons and cherry symbols to make your mouth water. The unique feature of this game is the Streak Breaker. By activating this feature, for an additional cost of 5 coins, the player ensures that after 5 losing spins in a row, they automatically get a random payout! The exclusive Shake ‘n’ Pay bonus feature random generates bonus payout whilst shaking up the reels. There is also an advanced Free Spins bonus round with a pick-a-prize option, that allows the player to select numerous hidden panels on 2 scratch cards, until 3 matching free spin amounts (with multiplier) are revealed – and then awarded.